Where are you going to find another unrestored 69 Buick Riviera in this kind of shape? This is a southern car loaded with all the Riviera options...power steering, power brakes, power windows, power seats (all work), remote driver's mirror, speed monitor, and air conditioning (blows cold). It is powered by its original 430 cubic inch V8 and a 3 speed Turbo 400 Hydra-matic automatic transmission. Suspension has been redone with new springs all around, new shocks, ball joints, and bushings. The car comes with the original Pro-tecto Plate, and original owners documents. There are no mechanical issues with this car...it has been gone through by our mechanics, it runs and drives out great...perfect for the upcoming touring season. 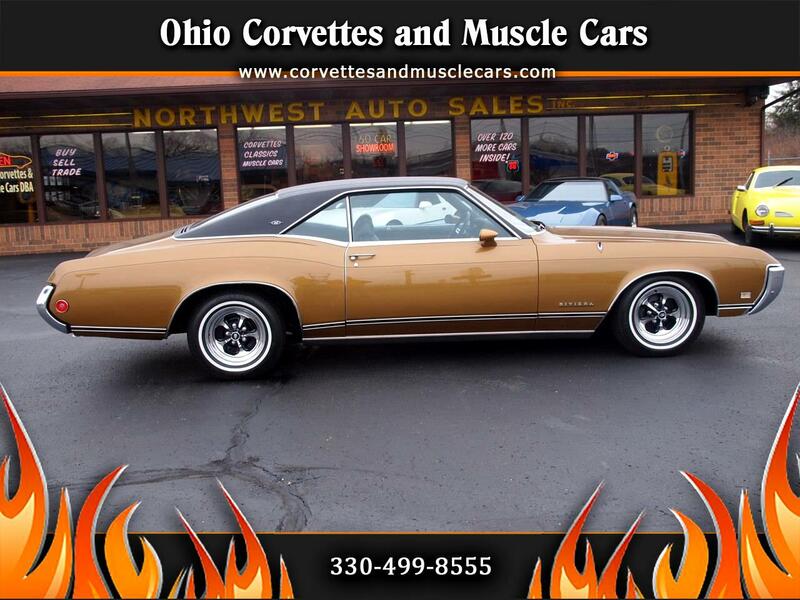 Don't miss a chance at this rust free southern Buick Riviera...DO IT NOW OR FOREVER WISH YOU HAD. Message: Thought you might be interested in this 1969 Buick Riviera.